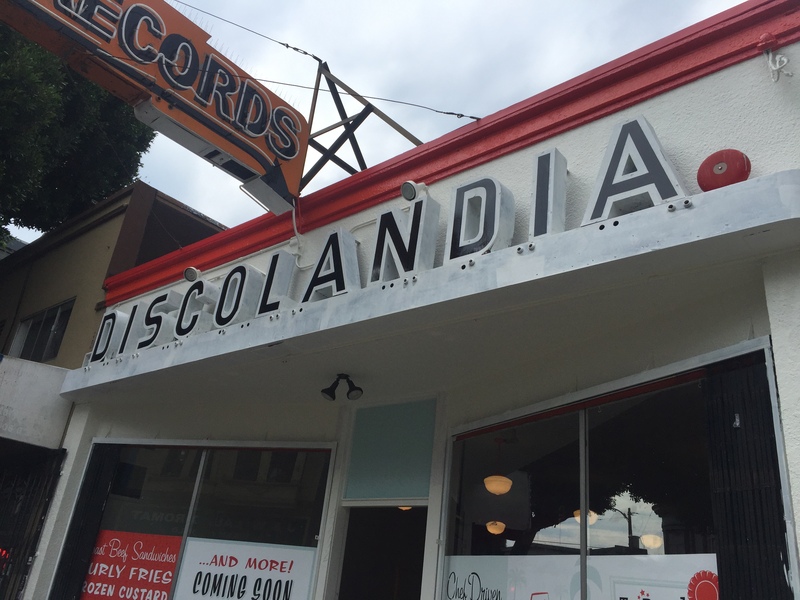 The historic Discolandia sign at 2964 24th Street will remain its original orange, black and white colors, according to Jon Jacobo, Calle 24 co-president. There was some controversy earlier today when people saw workers painting over the sign. Although it is currently painted white, contractors working at the site this afternoon said they would restore it to its original colors as they finish renovations on the rest of the shop. Top Round Roast Beef, a fast food franchise, is moving into the building formerly occupied by the record shop, which closed in 2011. The restaurant Pig & Pie set a precedent for conserving the sign as a local landmark when it took over the space after Discolandia’s demise, agreeing to leave it in place when local residents spoke of its significance. After persistence from the community, Top Round Roast Beef will do the same. The franchise managers contacted their headquarters, who decided to respect the wishes of the locals, Jacobo said. NextSunflower Vietnamese – an old friend rises again!